10. Toy Story Mania – One of the most popular attractions in Disney’s Hollywood Studios previous was found in the Pixar Place section of the park, but with the upcoming opening of Toy Story Land it will make its new home there. Toy Story Mania invites guests to enter into the world of Andy and his toys and guests realize that they shrink down to the size of toys the moment they enter into the queue. The queue features larger than life childhood favorites such as crayons, Chutes and Ladders, Lincoln Logs, and more and eventually leads guests to a location where they gather their 3D glasses. 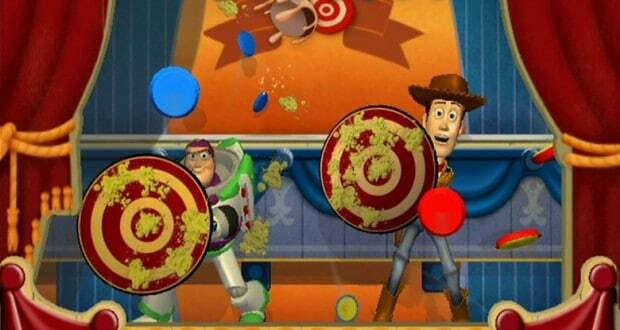 As guests move into the loading area of the attraction, the move through Andy’s bedroom and realize that they are about to compete in a series of 3D midway games from his favorite board game. Guests then proceed to compete in the games, each hosted by a different character and featuring different targets to aim at. Each mini game also features hidden Easter Eggs which can help guests rack up big points. The finale of the attraction comes when the final scores are revealed and guests can see who scored the highest in their vehicle and claimed bragging rights.